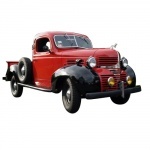 Originally founded as the Dodge Brothers Company in 1900, Dodge has become one of the most trusted and prolific American truck manufacturers over the past century. 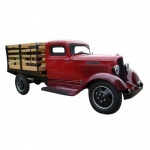 Dodge began producing light- and medium-duty trucks in 1914 and more heavy-duty models beginning in the 1930s. 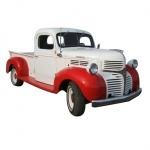 During World War II, Dodge shifted its focus toward the war effort, producing tough, reliable military trucks and ambulances. It was during the war that Dodge began integrating four-wheel drive capabilities into its trucks, an innovation that was introduced to civilians with the Power Wagon model in 1945. 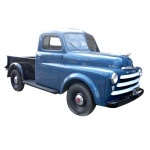 Over the next few decades Dodge continued to innovate, creating trucks that were both sturdy and comfortable. In the 1980s the Ram line was introduced, and it continues to be a favorite today. 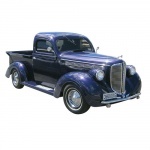 With their storied history and proven durability, Dodge trucks have secured their place in the pantheon of classic American cars. 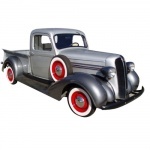 Dodge truck enthusiasts are helping preserve a part of American automobile history, which is why we at CDmanuals.net are proud to offer the original repair manuals for classic Dodge trucks. These car repair manuals are exact replicas of the copies that were created at the time of production by the manufacturer, specifically for dealership mechanics. This means that you have all the detailed, in-depth information you need to keep your Dodge truck running in all its classic glory. These manuals include the tools, step-by-step instructions, labeled images, diagnostics, and vehicle codes necessary for the repair and maintenance of any Dodge made before 1990. On CDmanuals.net you'll find the exact repair manual for each specific model and year, meaning your manual will feature all the idiosyncrasies of your particular Dodge. These manuals are a must for any serious Dodge truck enthusiast. Available in both digital and hardcopy formats, these original repair manuals can be shipped right to your doorstep, and our representatives are happy to help.